This book shines a spotlight on vision. We provide information on basic eye functioning and care, on hazards to avoid and protective measures to employ – from infancy on. We discuss ways to identify and treat vision problems, including common sight correction, minor ailments, and conditions that pose serious threats to an individual’s eyesight. 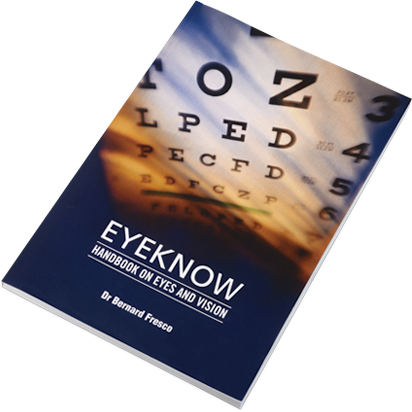 We urge readers to include their eyes – and their children’s – as an integral element of an ongoing health care routine. As with health care generally, think prevention, and early detection of problems. Catching problems early is the key to preserving sight and, in older age, the ability to live independently. As health professionals concerned that people maintain good eyesight, our message is (yes, you guessed it): Have regular eye exams throughout life. And, if a problem does arise, obtain information and feel confident about the continually advancing treatments available.